On Govardhana Puja in Ratanpur, Bihar this year, people of the Musahar community and Amrita SeRVe workers celebrated together with baths for the children and payasam for all. The children in Ratanpur used to live in such desperate conditions. They were hardly bathed and sometimes did not have proper food. The Musahars used to be considered outcaste and were traditionally rat catchers. There is still uncertainty as to their exact origin, but now they are recognised as scheduled caste by the government. 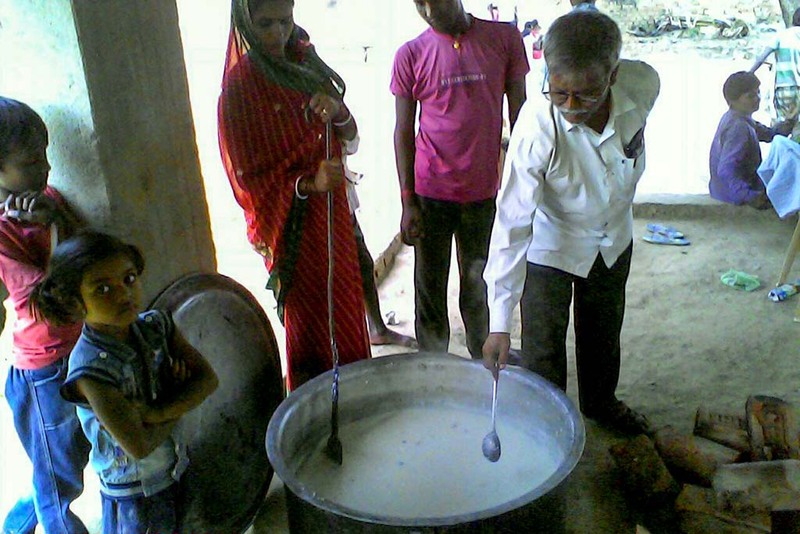 Many people of the village gathered together to share the payasam from Amrita SeRVe. The impact of the feeling of support and community is surely something to be recognised.